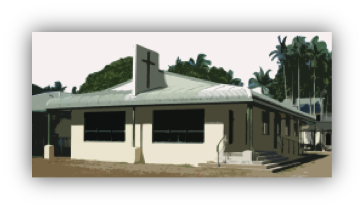 Cairns Community Church is a community of believers committed to the exaltation and spreading of the glory of God. We seek to encourage and equip God’s people from the Bible to live as lights, proclaiming the excellencies of God to the world around us, so that the saving power of the Gospel of Jesus Christ might be spread to the ends of the earth, for the Glory of God! Come and experience a worship service with us followed by a time of fellowship and morning tea. We meet on Sunday mornings at 9:00 am. Sunday school operates weekly for primary aged children.